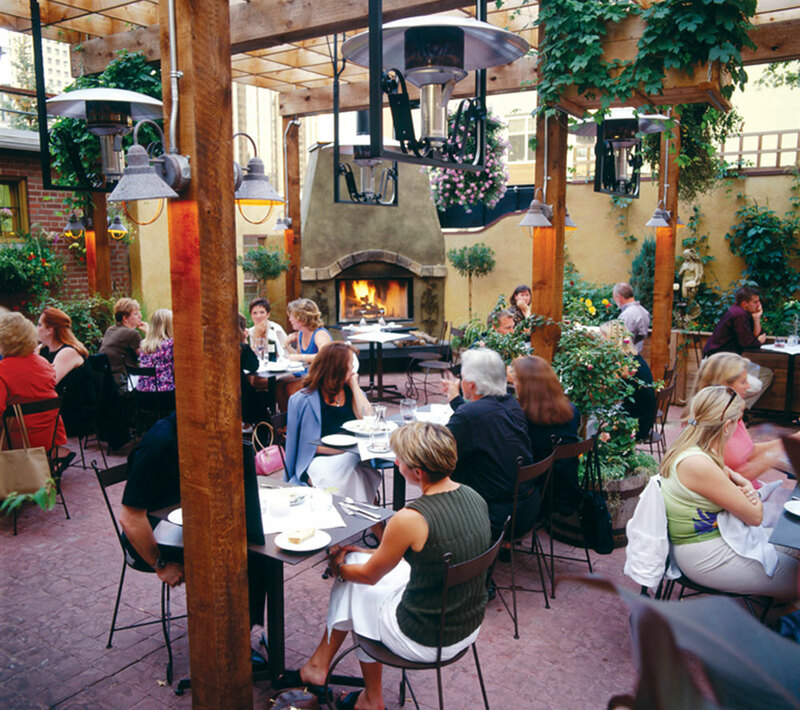 If you’re looking for something a little bit Tuscan, these patios all have pretty potted plants and plenty of greenery. With its industrial location, Alloy has had to work hard to turn its courtyard patio into something beautiful via some pretty fencing and lots of landscaping tricks. With seating for 32, a pond complete with the tinkling of a waterfall, 10 large pots filled with flowers and Alloy’s always-inspired menu full of Mediterranean, Latin and Asian flavours, this little hideaway feels like it’s miles away from the rest of the city. A true urban sanctuary, Bonterra’s terrace is the closest you’ll get to a Tuscan vacation without having to board a plane. The high walls and overhead pergola block out the rest of the world, and the bubbling fountains and abundance of lush greenery and carefully chosen blooms create an idyllic atmosphere to sit back and enjoy an Italian-themed salad or fresh pasta and a glass (or two) of Italian wine. Like its sister restaurant, Bonterra, Cibo is home to a cozy, Italian-style patio that manages to feel tucked away despite being right on busy 17th Avenue S.W. The patio has a rustic feel to complement the brick building that houses the restaurant; the look is softened with flower boxes on the repurposed wood walls (which came from a Second World War airplane hangar), a fresh herb table, flower baskets hung from the pergola roof and more greenery scattered throughout.